My sister website at TimeVista Archaeology has been updated with the latest information about what I’ve been up to. It’s a very busy time with the new commercial aggregates project at Black Cat Quarry, entering its third week now, and with enough archaeology to welcome two diggers (of the trowel kind) for two weeks to record the current features. There are ditches, possible pits and, other than a sprinkling of tree-throws and animal burrows, a dark deposit on the gravel terrace edge which contains decorated Anglo-Saxon pottery sherds and animal bone. We’ve one worked flint blade fragment too — not easy to spot since the gravel is full of it, knapped by the digger’s bucket! 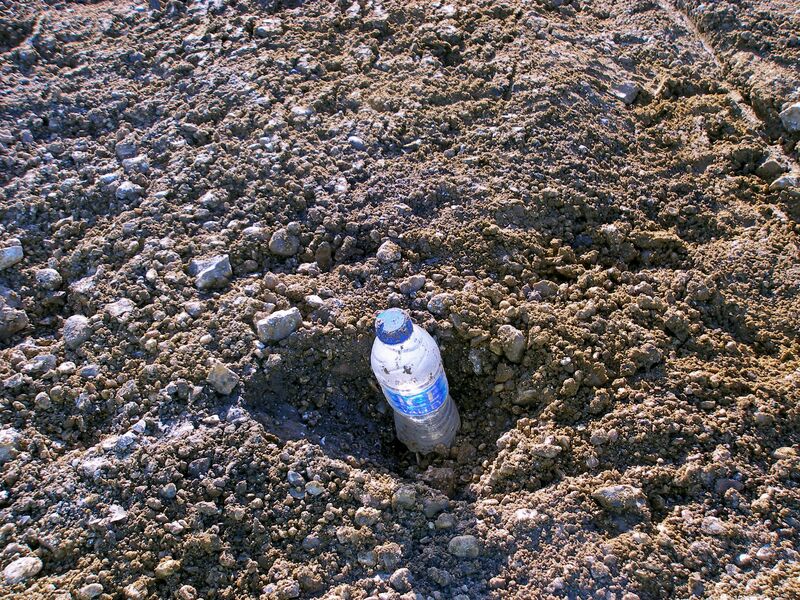 Post holes from the recent racing track circuit – still visible on Google Earth – are also evident, many containing 21st-century plastic bottles (still full), cola and beer cans, and modern debris. Top- and sub-soil stripping is continuing apace, constantly monitored, in what will be a 34 ha quarry extension over the next two years. We hope to sign-off the first area for gravel extraction before the Christmas break, if the county archaeologist agrees. The alarm is set for 5am and another week. This entry was posted in British archaeology, Microburin miscellaneous, Projects and tagged Archaeology by Spencer Carter. Bookmark the permalink.